Kegler Brown Hill + Ritter announced today that Christopher J. Weber, a long-time professional responsibility and trial lawyer, has been elected to succeed Michael E. Zatezalo as managing director. Now one of the largest law firms in the central Ohio region, Kegler Brown established a Cleveland office and grew by more than 30% in Zatezalo’s sixteen-year tenure, a time when many law firms downsized or merged to remain competitive. 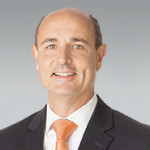 Weber, who began his career as a summer associate with the firm in 1991, has served the firm in numerous leadership positions throughout his career, including most recently as practice management chair, ethics advisor, and as a member of its executive committee. In his role as the firm’s managing director, he will focus primarily on driving workplace culture and growing the firm and its geographic footprint. In addition to his new responsibilities, Weber, a Litigation Counsel of America fellow and a seasoned trial lawyer, will continue to focus his law practice on assisting clients in professional responsibility and legal ethics issues, and civil litigation matters. The Best Lawyers in America identified Chris as its 2015 “Lawyer of the Year” in Columbus for Professional Malpractice Law and as its 2014 “Lawyer of the Year” in Columbus for Ethics and Professional Responsibility Law. Weber earned his J.D. from the University of Toledo College of Law in 1992, is a 1989 graduate of John Carroll University and graduated from Holy Name High School in Parma Heights, Ohio.